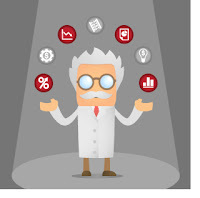 1) Mention what are the key skills required for data scientist? 2) Explain what is collaborative filtering? 3) Explain what are the tools used in Big Data? 4) Explain what is KPI, design of experiments and 80/20 rule? 5) Explain what is Map Reduce? 6) Explain what is Clustering? What are the properties for clustering algorithms? 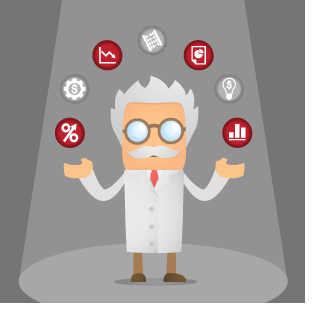 7) What are some of the statistical methods that are useful for data-scientist? 8) What is time series analysis? Time series analysis the output of a particular process can be forecast by analyzing the previous data by the help of various methods like exponential smoothening, log-linear regression method, etc. 9) Explain what is correlogram analysis? 10) What is a hash table? In computing, a hash table is a map of keys to values. It is a data structure used to implement an associative array. It uses a hash function to compute an index into an array of slots, from which desired value can be fetched. 11) What are hash table collisions? How is it avoided? It uses the data structure to store multiple items that hash to the same slot. 12) Explain what is imputation? List out different types of imputation techniques? 13) Which imputation method is more favorable? Although single imputation is widely used, it does not reflect the uncertainty created by missing data at random. So, multiple imputation is more favorable then single imputation in case of data missing at random. 14) Explain what is n-gram? An n-gram is a contiguous sequence of n items from a given sequence of text or speech. It is a type of probabilistic language model for predicting the next item in such a sequence in the form of a (n-1). 15) Explain what is the criteria for a good data model? 0 on: "Latest Data Scientist Interview Questions With Answers."